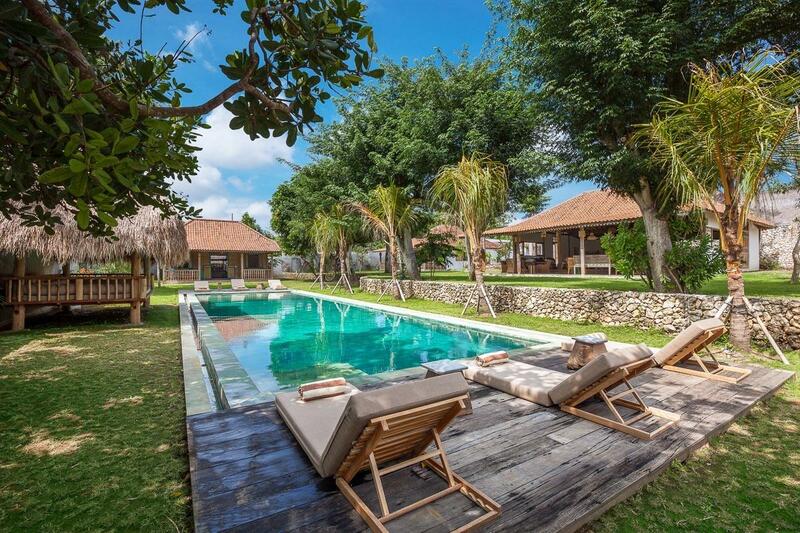 Wonderful Balinese house build on 2300m2 land, Villa 3123 consist in 4 master bedrooms and one large living-room opened on a luxurious garden and 17m long swimming pool. 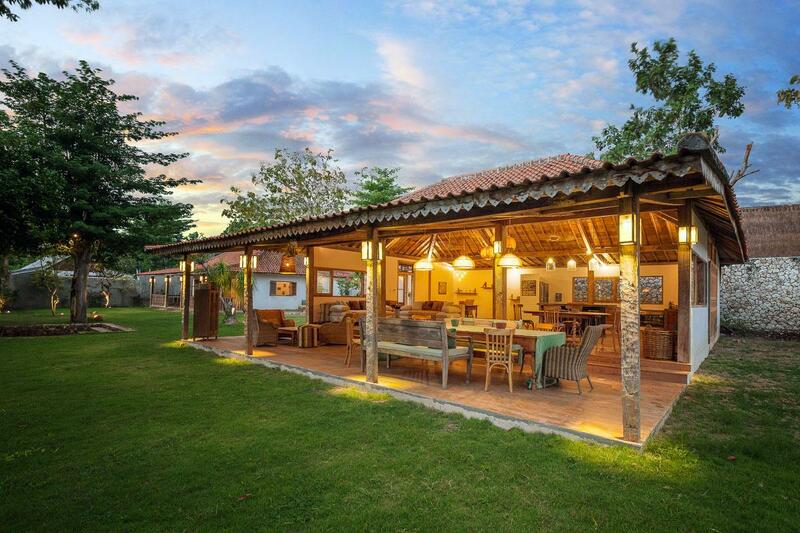 Located in a quiet area, this villa is the perfect place for quiet Holidays. 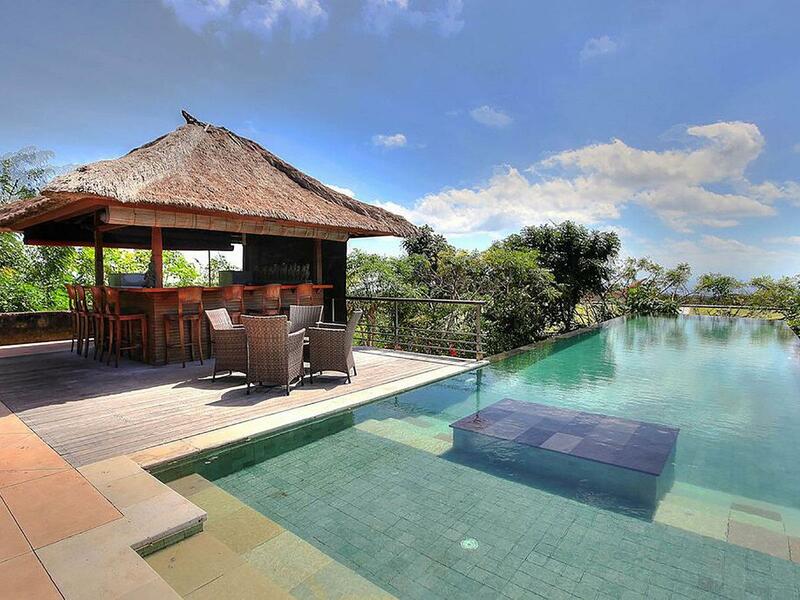 Villa 3123 is an amazing 4 bedroom villa located in the quiet village of Bingin, on the bukit peninsula. 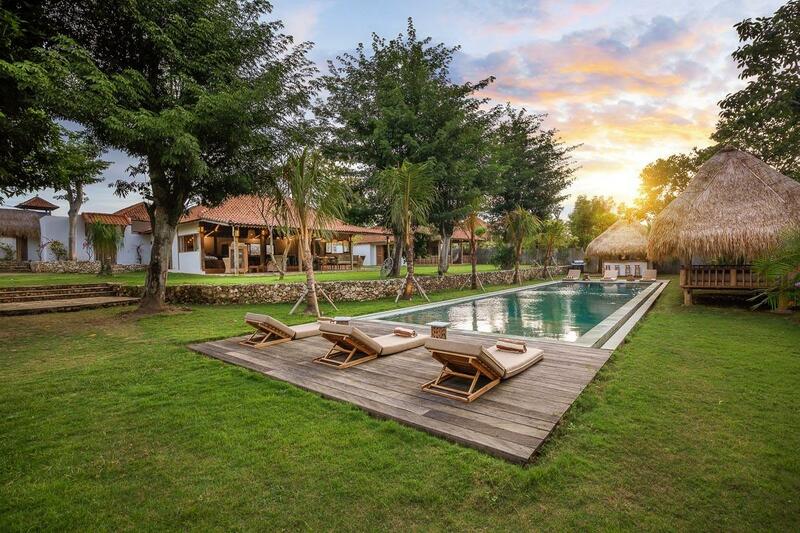 The villa can be compared to a small village; set on 2300m2 land, it is made of four independant traditional Indonesian houses. 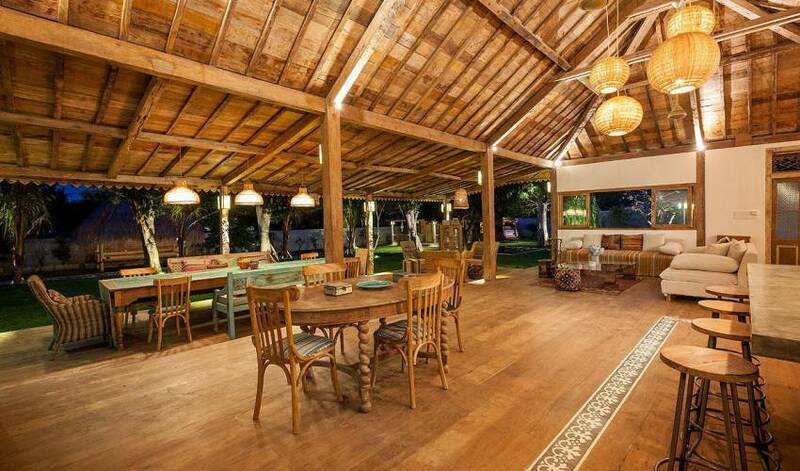 The main house, set right next to the entrance is living room where you will enjoy nice long dinner in an antique atmosphere. 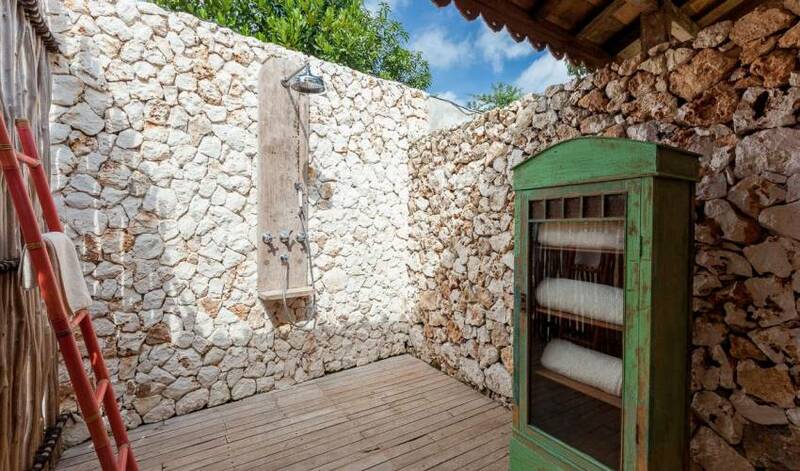 The bedrooms are set in different corners of the garden; giving you some privacy when needed. 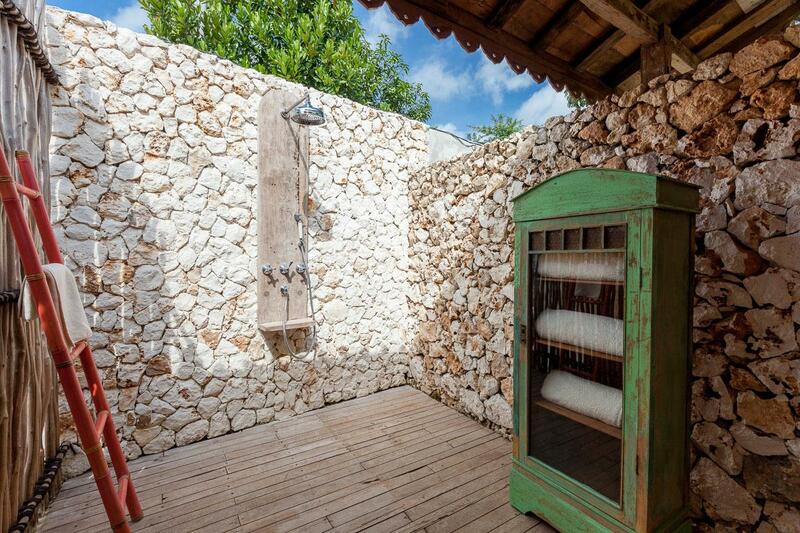 Each bedroom is very spacious, have ensuite bathrooms and a private terrace. 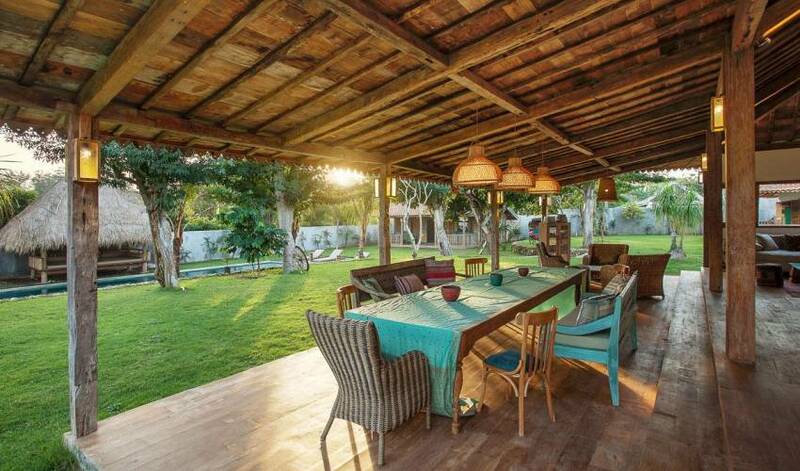 You will love to swim in the 17 m infinity pool or relax in the shade of the gazebo with nice view on the luxurious garden. At the end of the day, you will enjoy nice drinks of the pool house. 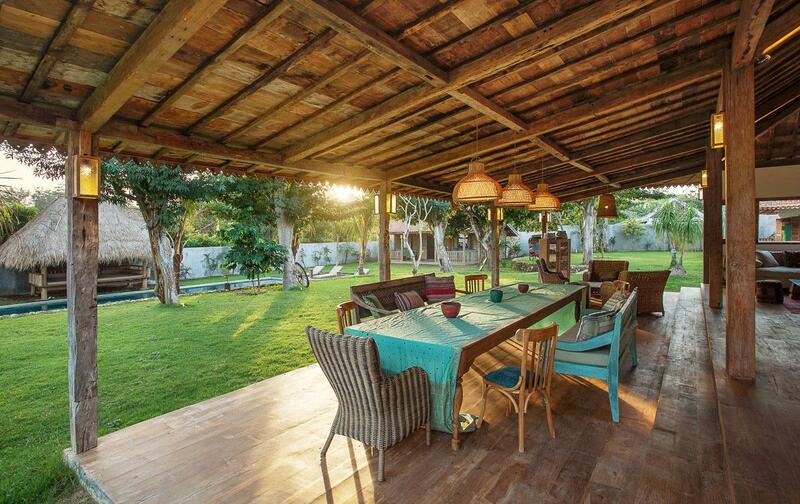 The Sunset light on the property sets a magical and unforgettable atmosphere. 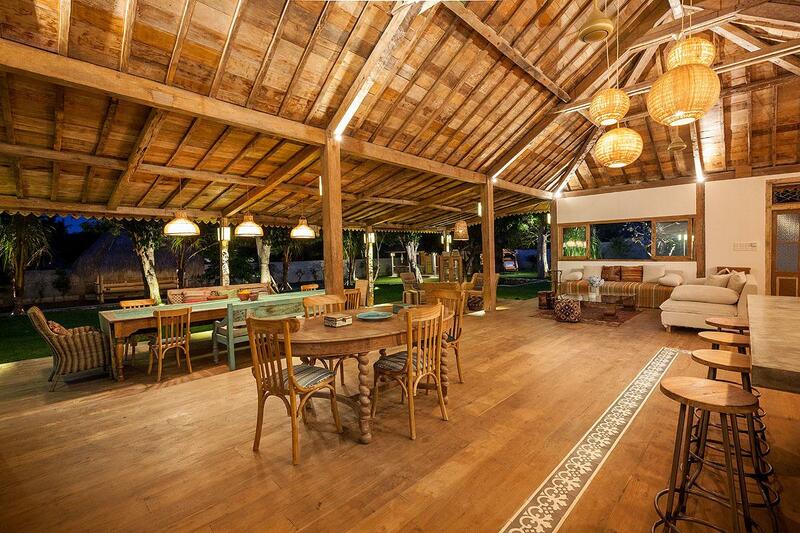 The villa is located only few minutes walk from the very quiet beach of Bingin. Bingin is a small but amazing white sand beach were you will find some of the best waves in Bali. 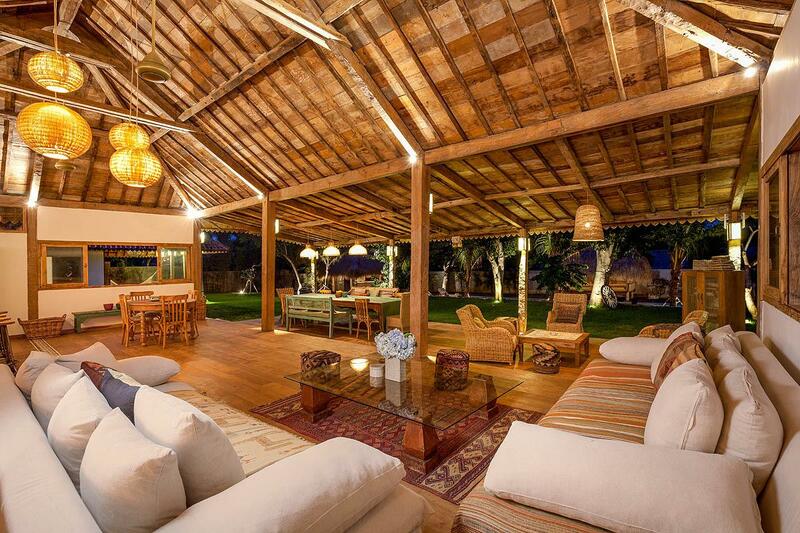 If you are looking to stay in the place that reflects the authentic Bali, then Villa 3123 is made for you. 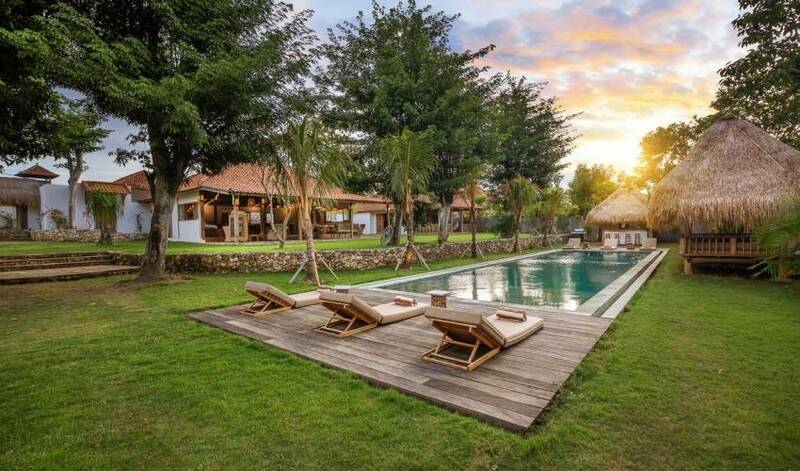 While staying at Villa 3123, you will have access to the full villa. 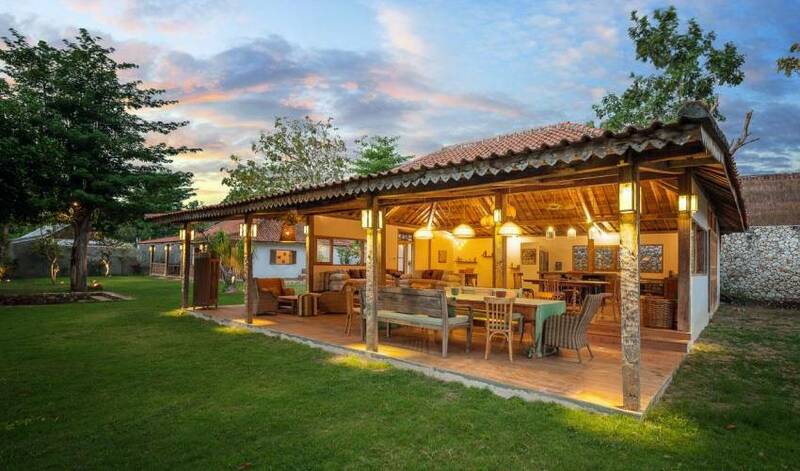 The management team will come regularly on the villa to make sure your are enjoying your stay. The management team can speak English and Indonesian. Bingin is a small and very quiet village located on the Bukit Peninsula. 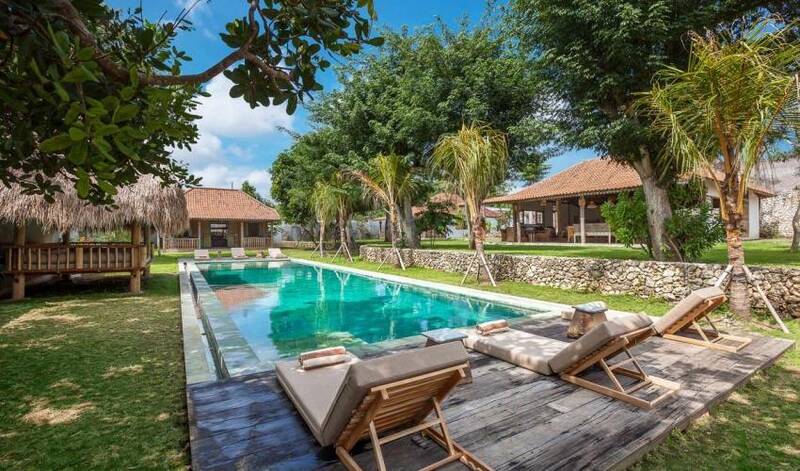 Bingin is home of two famous surf spots in Bali (Bingin and Impossible). 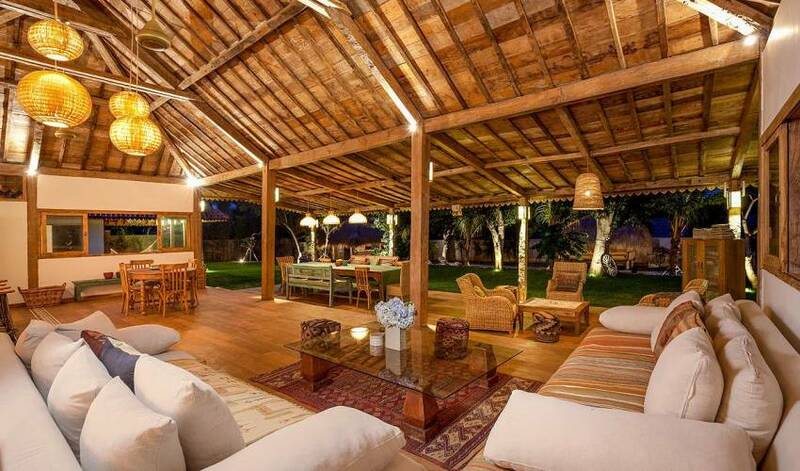 It is also a few inutes drive from the famous beaches of Padang Padang and Uluwatu. Airport pick-up is include in our prices. The drop-off will be at your charge and can be arranged by the mangement team. While staying at the villa, the management team will be able to help you book motorbikes, cars or drivers to move around the villa.